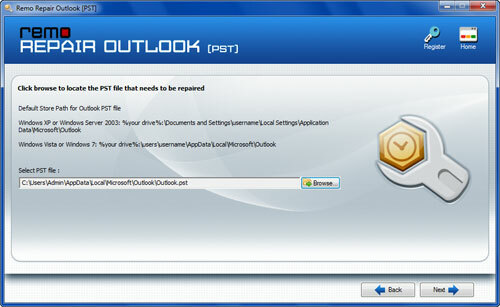 OST file is an offline folder file in MS Outlook which allows users to work offline when there is limited or no connectivity. These OST files are of much importance to the Outlook users as it can act as a disaster recovery option in case of failed hard drive or a corrupt backup. Often, emails in Outlook get deleted due to a corruption in OST file that gets corrupted as a result of various reasons. However, they can be repaired using any of the Outlook software available over the internet. 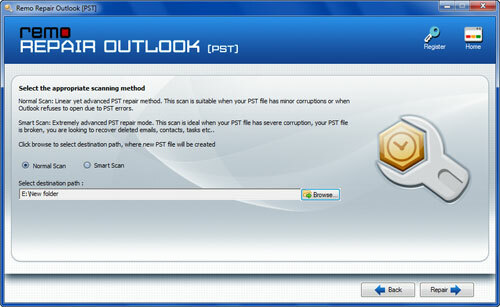 The Outlook PST recovery utility is one such repair tool for Outlook that can rescue corrupt or damaged OST files and helps in rescuing of emails & other Outlook attributes such as contacts, calendar items, tasks, notes, RSS feeds, etc. One of the main reasons for OST file corruption is the synchronization error that occurs while synchronizing the changes in OST file with Microsoft Exchange Server when connected to internet. Synchronization between the server and the offline Outlook folders sometimes lead to errors due to which some Outlook items cannot be opened. The software can bring back the OST file corrupted due to these synchronization errors and hence restore deleted folders of Outlook that gets deleted due to these errors or when they are deleted accidentally. OST file size: In case of Outlook 97-2003, when OST file size exceeds its size limit of 2GB, it gets corrupted and makes the Outlook attributes inaccessible. Bad sectors: If OST files are stored on some bad sectors of your hard drive, they get corrupted due to which Exchange Server may read data that is incorrect or full of errors. This type of error further results into looss of Outlook .ost files. Hop the cursor over here to find the complete details on how to restore lost OST files. Virus: Virus attack on OST file also makes them inaccessible. Improper Outlook shut down: While accessing or synchronizing the OST file, if Outlook terminates abnormally, this may result in OST file damage. Step A: Run the software and click “Open pst file” from the main window, as shown in Fig A. Step B: Provide the location of pst file and click “Next”, as displayed in Fig B. Step C: Choose appropriate scan method and provide the location for new pst file to save to. 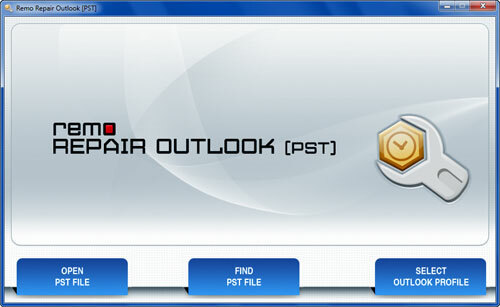 Click “Repair”, as shown in Fig C.
Step D: As shown in Fig D, list of recovered emails and other Outlook attributes is displayed.